Several years ago I bought a Pelikan Souveran M400. It cost about four times as much as this little pen but it was nowhere near as well presented. I know you don’t write with the box but I’m impressed, all the same. 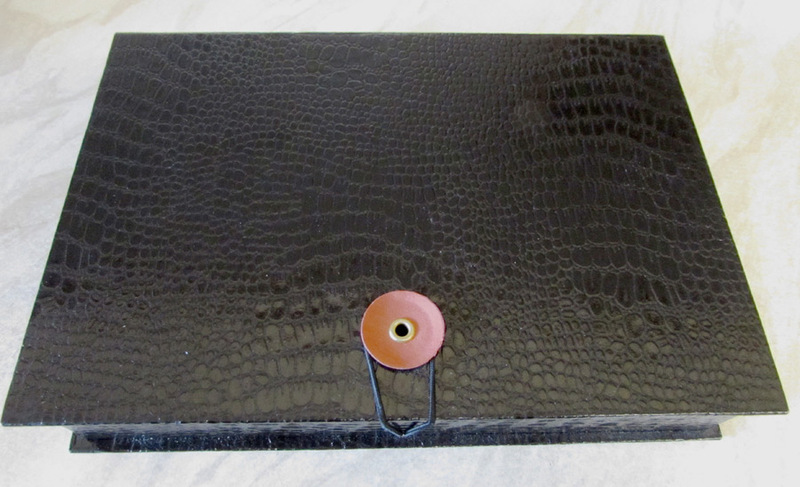 Underneath the usual white paper sleeve is a box made of imitation crocodile or alligator or some such snappy beast. 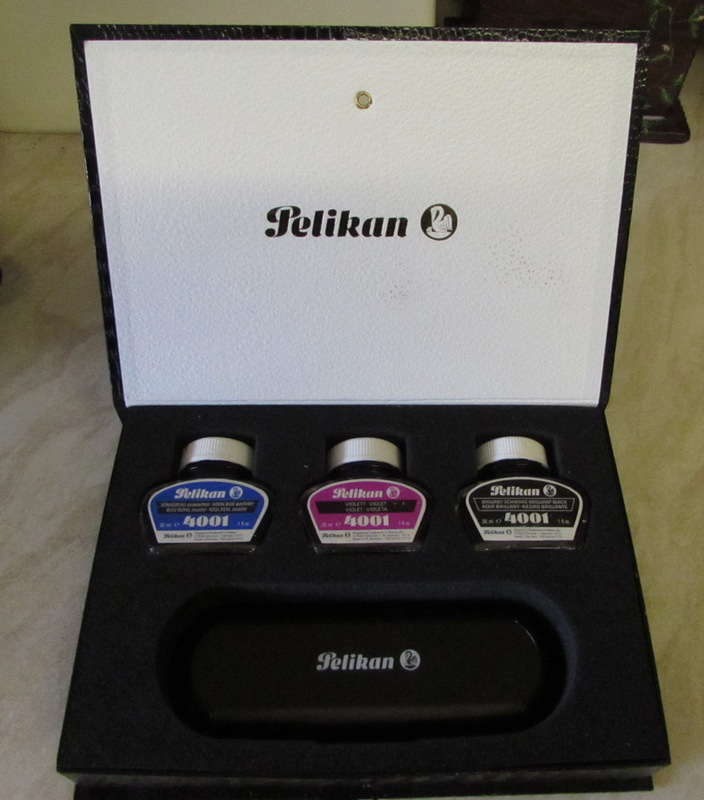 Inside that there are three bottles of Pelikan ink and a spectacle-type box containing the pen. 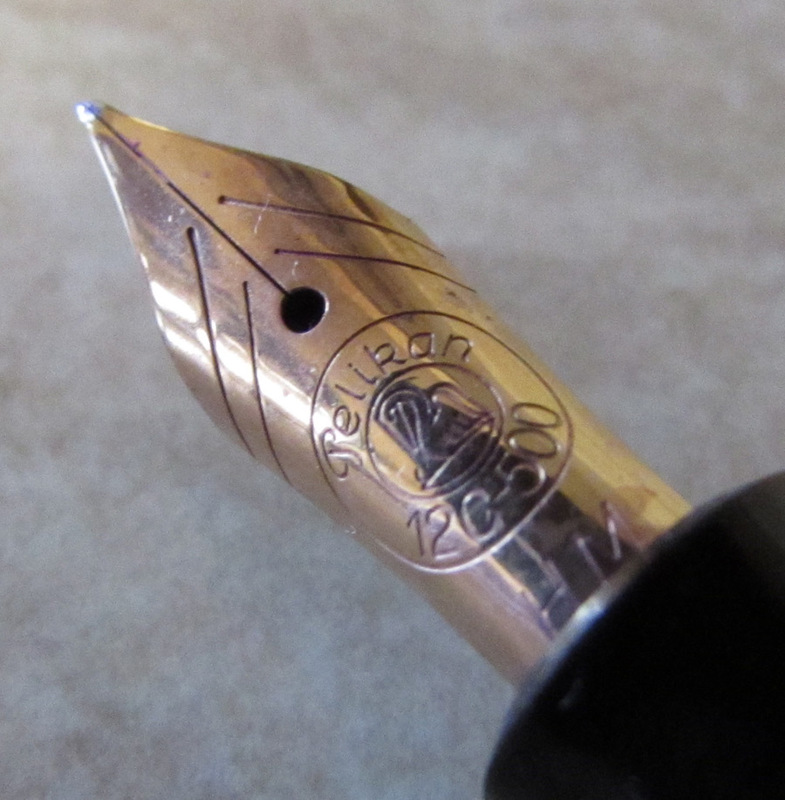 The Tradition M150 is the smallest pen in the Pelikan range and it has a gold plated nib. Where Pelikans are concerned, I don’t find a great deal of difference between the gold and gold plated nibs. They tend to be stiff anyway. I suppose it depends where you shop but the M150 goes for between £50 and £60. Pelikan’s piston filling system ensures that the pen takes up a lot of ink. Pelikan has been doing this since 1929. Why change perfection? Though it’s a comparatively small pen, I find it quite comfortable to write with. In black with a green ink view window, the famous Pelikan clip and a single cap ring, this is a reserved, understated pen. It is reminiscent of much earlier Pelikan models. I think that conservatism is a large part of its charm. Of course, Pelikan does make many other models, some of which are anything but traditional, but it’s nice that you can still get a pen like this. My assistant approves. She says she could have a lot of fun with a pelican. 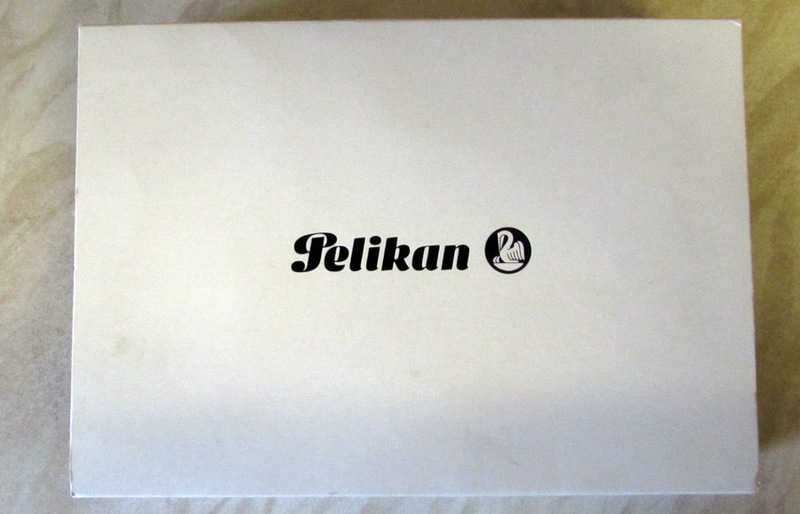 True, Pelikan’s conservative design is one of their big selling points. Is that a 12C gold nib? Once I offered a PIF in one of the forum of one of these M150 pens. They are fantastic little pens but I had two of them. Nah. 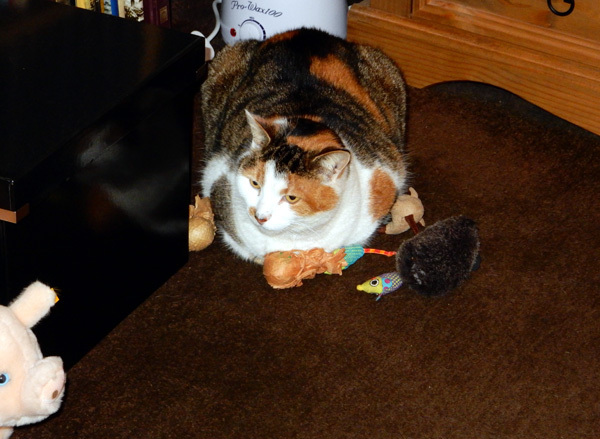 She likes to bat sections and feeds around until she loses them. That’s about it. Are you sure that’s a M150. These pens originally came with a steel nib but yours has a rare 12C HM nib. Either it’s a M250 or someone upgraded the original steel nib for a gold one. Either way it’s a great pen!!! I don’t know much about Pelikans; they’re a bit outside of my usual buying area. Having looked a bit closer at the pen, it does seem that the nib is 12 carat. It’s 128 mm long when capped, which is bigger than the M150. Perhaps it’s an M200. The seller wasn’t able to tell me much. He described it as an M150 and he said that it was bought about 20 years ago. Interested to hear what you – or anyone – can make of that. Rick Propas is THE Pelikan specialist. Website: thepenguinpen.com. He would have the answer on this model. I bought a maroon M250 in Hongkong in the mid-1980s. It had a 12 carat/500 nib marked OM. Other M250 pens on sale in the shop were solid green/black also with 12 carat nibs. The pen I bought wrote very well indeed before it disappeared from an overnight stay on my office desk. It surely must be an M250, being so magnificently presented. That’s the conclusion we came to.